The Valor Portrait Series offers a diverse collection of adaptive fireplace fronts complementing both traditional and contemporary room settings. Installation possibilities become vast and welcome your architectural and interior design inspirations.Showcasing concrete, casting and steel finishes of the finest quality, the Lift combines Valor radiant heat with contemporary design. 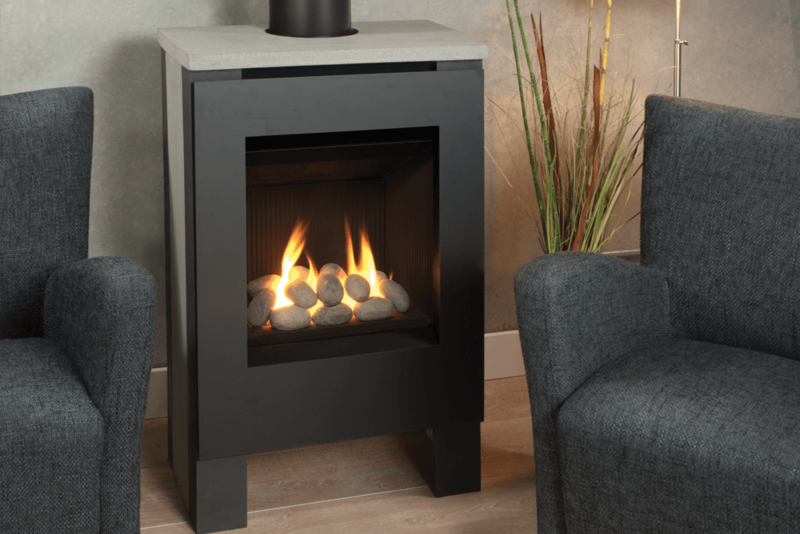 Available in both river rock and log fire beds, the Lift is part of the proven Portrait Series engine. An optional infill lower concrete panel is available if you prefer a solid appearance to the base. Radiant heat with contemporary design. Available in both river rock and log fire beds. North America’s exclusive designer, manufacturer & distributor of Valor Radiant Gas Fireplaces. Warming homes since 1890, Valor continues to set new standards in gas fireplace efficiency, comfort control and fashionable design.